Dow and DuPont propose to merge and then split up into three separate companies, one focused on agriculture. If three proposals go through, some once-dominant players in the ag sector may lose marketshare or cease to be competitive. The advent of GMOs provoked a sea change in agriculture, and in consumers' perceptions of Big Ag companies. ISU's David King says regulators might accept just three dominant players in the seed and chemical sector. This is the second of two stories about proposed consolidation in the agriculture seed and chemical sector. Most Americans aren't farmers. But these moves would trigger structural changes to the foundations of our food system and impact all Americans, regardless of whether they buy seeds, fertilizer or herbicides. "Perhaps the biggest problem," says Pat Mooney, executive director of the ETC Group in Canada, a think tank that monitors agribusiness and agricultural technologies, "is that the policy makers today have no sense of food or where it comes from any longer. And all of their facetime on the food issues is with the biggest companies." 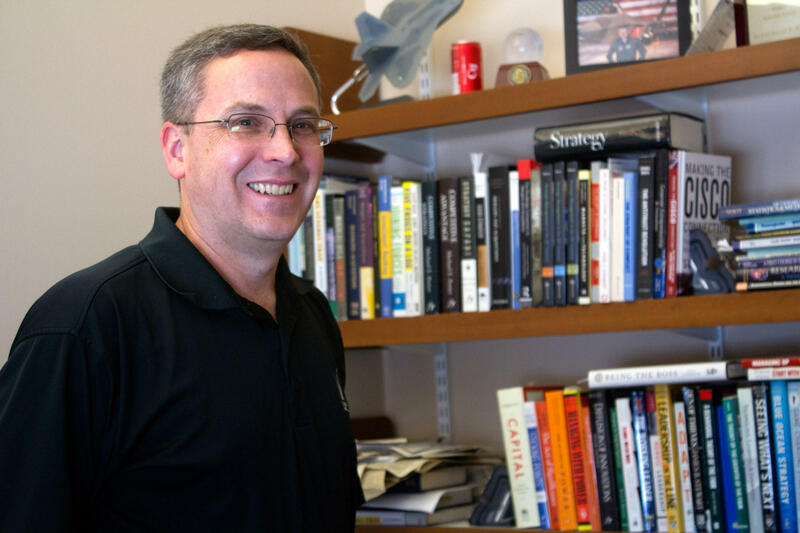 "It will be harder for governments to say no to their requests for policy changes," says Phil Howard, a Michigan State University professor who studies corporate consolidation. "It will be a company that’s too big to fail, like all of those Wall Street banks." "The availability of food is very important for social cohesion," Grassley says, "because of the old saying... 'You're nine meals away from revolution.' In other words, if you can't feed yourself, or your kids, you might do almost anything to make sure that they don't starve." Will 'Big Ag' take on the big issues? 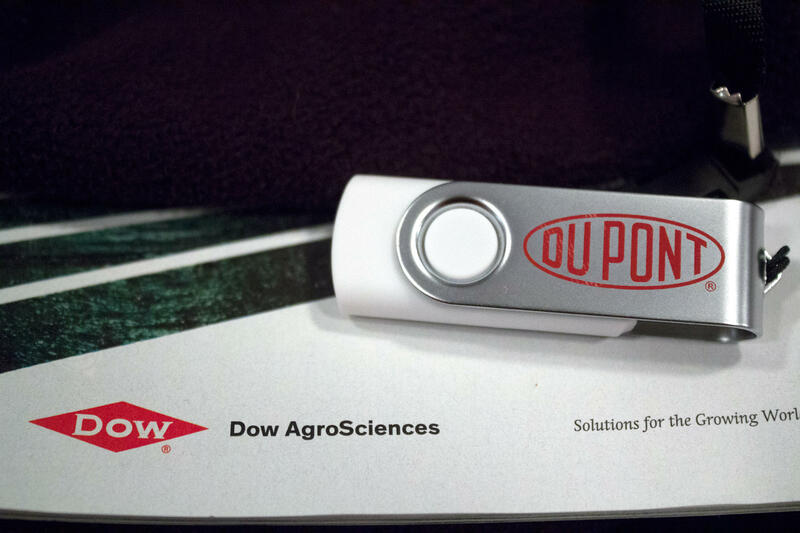 "With the Dow-DuPont merger, we will bring our capabilities together and we'll be able to more effectively compete and bring more product choices to farmers," Tim Hassinger, president and CEO of Dow AgroSciences, testified. "Our deal will preserve investment in [research and development] and the safety, reliability and diversity in the global food supply," said Erik Fyrwald, the CEO of Syngenta, about its potential purchase by ChemChina. "We have always had the focus on what's next? What do we do? How can we add more value to farmers? What can we do to create even better products?" 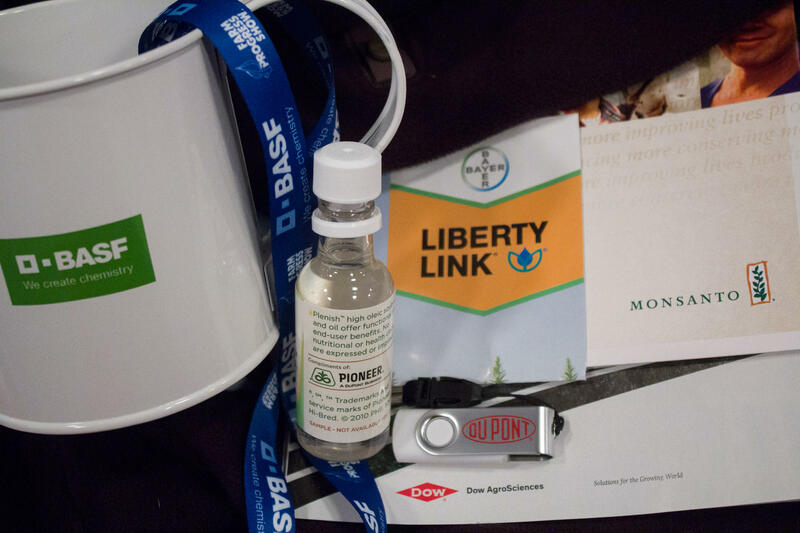 Robb Fraley, Monsanto's chief technology officer, told Harvest Public Media in August. "And I think that's been a part, literally, of our DNA since the very beginning." But Mooney says further consolidation of research into fewer companies means a more narrow, profit-driven scientific focus, with less public interest. And potentially even less farmer participation than today. "The capacity of farmers around the world to crowd-source their knowledge on plant breeding to respond to climate change is huge," Mooney says. "Farmers work with almost 7,000 different species. Companies work with, I think optimistically, they claim 136 or 137 varieties or species." "These guys aren't going to get us through climate change, for sure, with that kind of focus," Mooney says. "It's really bad news for farmers and everybody who eats because these companies are just going to become more powerful and have even more economical and political influence," Howard says, "[and] greater ability to raise prices and dampen innovation." 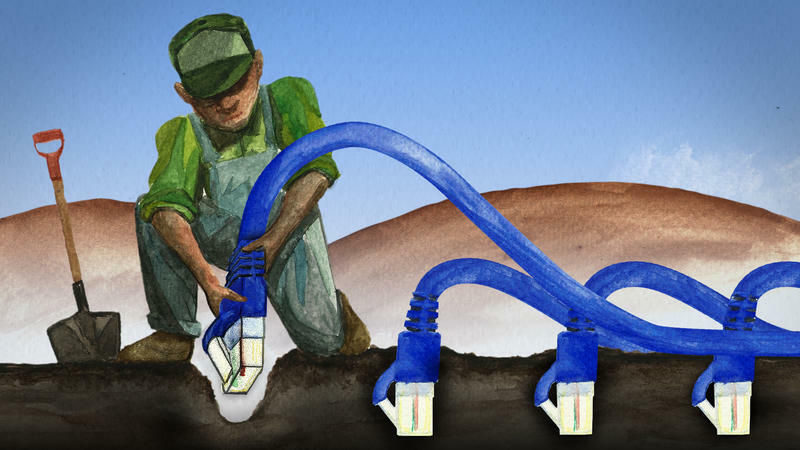 "If these mergers are allowed to go through," Mooney says, "then it's very, very easy to go back to regulators and say, 'Hey guys, the real way to harness these technologies for the future is to let the farm machinery guys in, they've got the box everyone else has to put their products into.'" 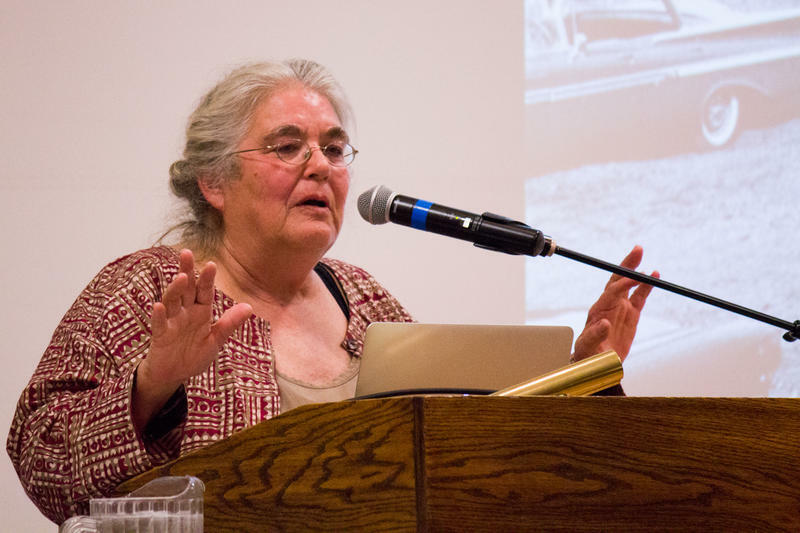 "We're talking about a transition...the dematerialization of the farm into Big Data and that's where this will end up," Mooney says, "and the Big Data will be controlled, all the information will be controlled, by the two or three big farm machinery companies." That may sound improbable, even dystopian, but It's not a terribly far-fetched idea. John Deere and Monsanto penned a tentative deal for the tractor company to buy Precision Planting, an Illinois-based company that Monsanto had previously snatched up. But the U.S. Department of Justice objected to that proposal. "The best example would be the aviation industry," King says. "Airbus and Boeing are the two largest players and they supply to people everywhere in the world. So if there's three large ag suppliers, they would be able to do a similar thing." King says in aviation, it's a bit hollow for a customer to threaten to leave Airbus for Boeing or vice versa because relationships between supplier and client go very deep. Given that, he says, even three dominant players in ag would be a better, and viable, scenario. "It's better to have three because then it's less of an act that 'I will switch,'" King says, "you have more choice." A lawsuit farmers have filed against seed giant Syngenta will proceed as a class action, potentially involving hundreds of thousands of corn growers nationwide. 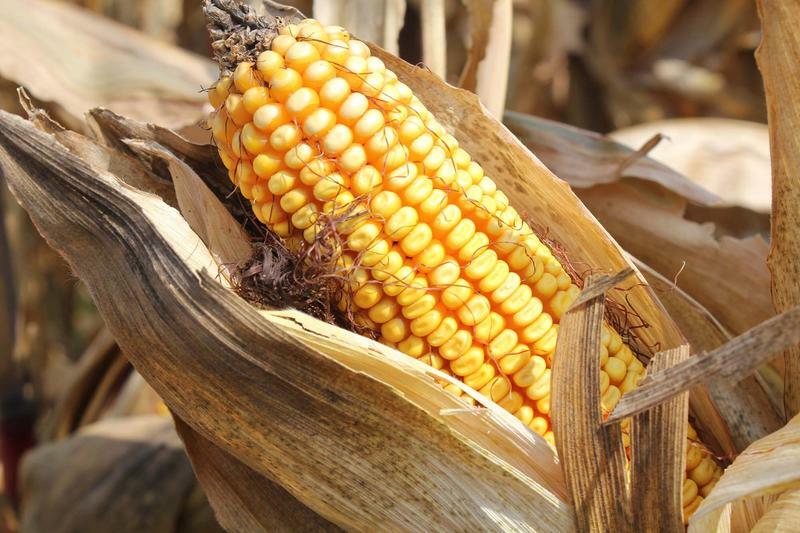 U.S. District Court Judge John Lungstrum approved the motion to certify the Syngenta AG MIR 162 Corn Litigation as a class action Monday in Kansas City, Kansas. Dow DuPont Merger Potentially Good for Ag? 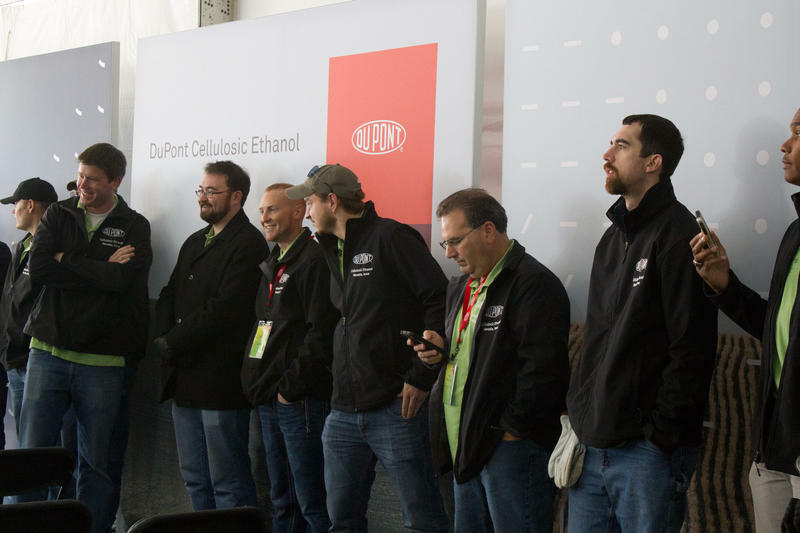 A proposed merger between two giants of American business, DuPont and Dow, could ultimately result in an agricultural company more focused on farmers than either is today. At least that's one interpretation of the proposed $130 billion deal, which would create the biggest chemical company in the United States and the second largest in the world.